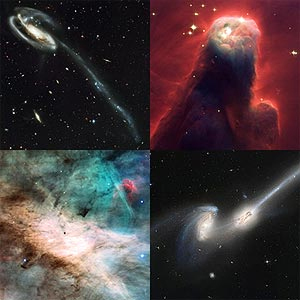 ^ NASA's Great Observatories. NASA [2007-01-10]. ^ The European Homepage for the NASA/ESA Hubble Space Telescope - Frequently Asked Questions [2007-01-10]. ^ "Starry-Eyed Hubble Celebrates 20 Years of Awe and Discovery", full release. Space Telescope Science Institute, April 22, 2010.